Landmark Rehab Gets Altria’s $10 Million; What About the Rest? 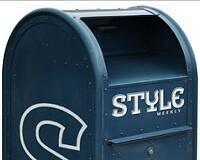 | News and Features | Style Weekly - Richmond, VA local news, arts, and events. As the final piece of the planned $50 million renovation of the Landmark Theater falls into place — with a $10 million gift from tobacco giant Altria — it's as good a time as any to ask: Who's paying for this? And why does it cost $50 million? There are no easy answers to the first question. Altria is forking out the $10 million for naming rights to the venerable landmark, which will become the Altria Theater sometime next year after the first phase of construction is complete. Most of the remaining $40 million will come from taxpayers, through a variety of ways. About $14 million will come from the city, beginning with next year's budget. Another $18 million will come from the sale of historic tax credits, typically to corporations that use them to defer paying state and federal taxes. The rest, about $8 million, is expected to come from corporate donations and other charitable support, according to officials with Richmond CenterStage Foundation, which is acting as developer of the Landmark project. It all works like "magic," Mayor Dwight Jones says: "We thought that we would show a little budgetary magic by allowing people to see how you can take a $14 million investment and turn it into a $50 million investment," Jones told reporters last week. As for the actual construction project, details are difficult to come by. So far, CenterStage officials and the city haven't provided a detailed breakdown of the $50 million construction plan. It includes "significant safety and infrastructure improvements, including the fire alarm and suppression system, plumbing and electrical," according to a news release from CenterStage. The work is expected to include improvements to the facade and roof, interior seating and the concession area. Will it really cost $50 million? Not exactly. About $4.5 million will go toward financing costs, while millions more will be paid out in fees to consultants, lawyers, the developer, and architects and engineers. How much isn't publicly known. Take the CenterStage project, completed in 2009. Construction costs came to $54.9 million, according to filings with the Virginia Department of Historic Resources, which oversees the state and federal tax credits. The actual hard construction costs came to about $40 million. Developer fees amounted to $6.9 million; architectural and engineering fees were $5.8 million. An additional $1.7 million was spent on legal and accounting, civil engineering and other consultants.